Bari Mobile Centre deals in all brands of mobiles and accessories. 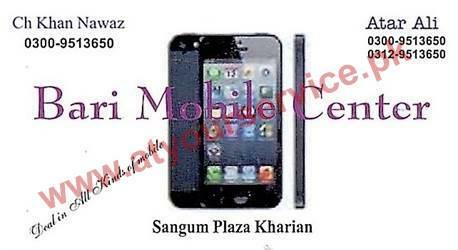 Bari Mobile Centre is located in Sangam Plaza, GT Road, Kharian. It deals in all brands of mobiles and accessories.